International Finance Corporation (IFC), the private-sector investment arm of the World Bank, plans to invest in Bengaluru-based logistics startup Shadowfax Technologies Pvt. Ltd. In a disclosure on its website, IFC said the planned investment will help the three-year-old business-to-business (B2B) logistics startup expand its operations. IFC did not specify the amount it plans to invest. The disclosure comes a little over a month after Shadowfax raised $22 million in Series C funding. The round was led by US-based investment firm NGP Capital and saw participation from Qualcomm Ventures, Mirae Asset and existing investor Eight Roads Ventures. Shadowfax co-founder and CEO Abhishek Bansal said the announcement is part of IFC's procedures. The deal process is still underway and the company will make an announcement once the deal is closed, he told Techcircle in an e-mailed response. 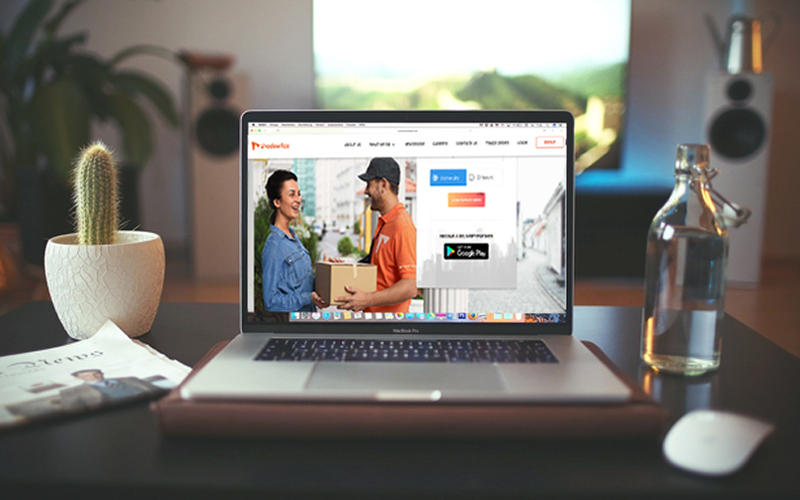 Founded in May 2015 by Bansal and Khandelwal, Shadowfax provides intra-city logistics services to neighbourhood merchants, grocery shops, pharmacies and e-commerce companies. It initially started out as a food-only delivery player but has diversified over the years. The company is present across 80 cities and towns in India and plans to expand to over 100 in the next three months, it had said in August. Shadowfax fulfils 90,000 orders a day for its customers spread across sectors that include food, groceries, fashion, pharmacy, furniture, e-commerce and traditional business sectors. Its clients include Domino’s Pizza, BigBasket, Amazon, Paytm, Flipkart and McDonald’s. As part of its inorganic growth strategy, Shadowfax acquired the assets of e-commerce-focussed reverse logistics platform Nuvo Ex in October last year. In November 2015, it had acqui-hired Gurugram-based reverse e-commerce logistics startup Pickingo Logixpress Pvt. Ltd. The World Bank arm is one of the most prolific private equity-style investors in India. It backs both tech and non-tech startups and mature companies across sectors. In the logistics sector, IFC invested $10 million in BlackBuck, operated by Zinka Logistics Solutions Pvt. Ltd, last year. Earlier this year, IFC proposed to invest up to $25 million in a fund launched by Mumbai-based industrial real estate investor IndoSpace Logistics Parks. Previously, IFC has backed Continental Warehousing Nhava Sheva Ltd and Snowman Logistics. In July, Tata Motors Finance Holdings, a wholly owned subsidiary of Tata Motors Ltd, picked up a 26% stake in online freight aggregator TruckEasy for an undisclosed amount. In June, Mumbai-based e-commerce logistics startup Wow Express raised Rs 30 crore (around $4.5 million) in its Series A funding round. The same month, logistics management startup Locus raised $4 million (Rs 26.8 crore) in a pre-Series B round of funding. Also in June, Hey Deedee, a Mumbai-based startup, considered to be India’s only all-women last-mile logistics services firm, raised pre-seed funding of $500,000 (Rs 3.3 crore) from early-stage investor Metaform Ventures LLC. *This article has been updated to add a comment from Shadowfox's CEO.